Michael Fox apparently didn't get enough of my talking-too-fast style of conversation. 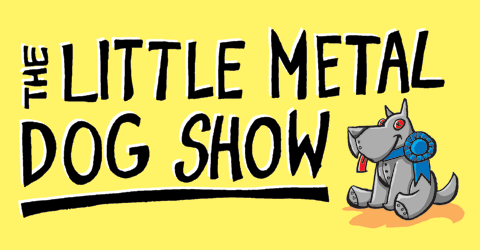 The velvet-voiced host of the Little Metal Dog Show brought me back to talk about designing in public, the relationship between theme and abstracts, and collaborating with Mark Sherry's giant math-brain. He also interviews Days of Wonder co-founder Mark Kaufman, who talks a lot about the business side of things like running a small company, the selection process for adding a new game to their catalog, and the importance of editing. That's something I think we all inherently understand, but Mark Kauffman puts a real voice of authority behind those principles.